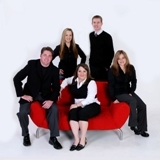 Lincoln, Nebraska Real Estate Market: Aggressive Marketing is our Fortay! So what do I mean when I say that The Korn Team aggressively markets homes in Lincoln, NE? Well, I mean a lot of things and I could go into all of them but, this blog would get entirely too long. Over time I will discuss our aggressive marketing plan. For now I would like to focus on one activity that I did today for all of my home sellers... REVERSE PROSPECTING! I take all of our current listings and pull up any saved buyer searches (that other agents have set up for their clients) in our MLS that match our listing. Then I simply email each of those agents to let them know that we a listing that matches their buyer's needs. I then ask them to take their buyers through out listing and let us know what they think. Its simple. Its easy. Best of all, it IS aggressive marketing!